Pema Khandu informed the centre about the unprecedented situation in the Siang River where certain areas are facing drought while others are reeling under flood. Concerned with the unprecedented situation in the Siang River basin where certain areas are facing drought like situation while others are reeling under flood, Chief Minister Pema Khandu today drew attention of the Union Home Ministry towards it. In a letter to Union Home Minister Rajnath Singh, Khandu called for an Inter-Ministerial team to assess the situation for further needful action and precautionary measures. 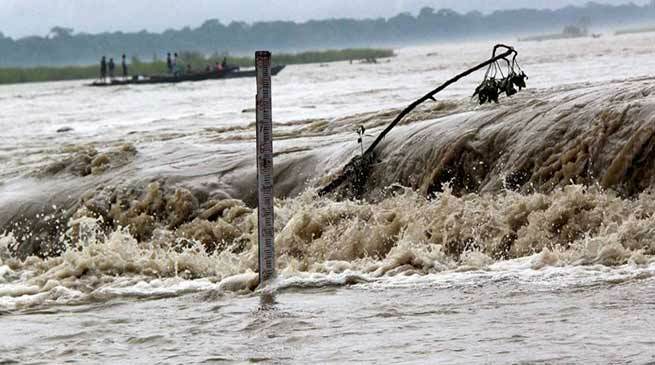 Khandu informed the Home Minister about the reports of Siang River flowing above the danger level. He said many houses have been eroded and washed out under the impact of gushing flood water. The sudden rise in the water level and muddy water flowing in the river is causing concern amongst the locals, he added.